We are engaged in providing a wide range of Steel Bars that includes steel bars - QST, steel bars - HSCRS. We offer to our clients an outstanding range of Steel Bars, which is highly acclaimed for its dimensional accuracy, corrosion resistance, durability and uniform hardness. These bars are offered in alloy steel, stainless steel and carbon steel variants at industry leading prices. 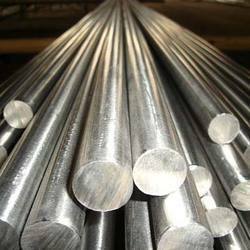 The bars on offer from us are fabricated from finest quality raw material, which we procure from trusted vendors. Tensility, which meet the highest international quality standards. One of the most common types of TMT Steel Bars is used for home and building construction.